The natural colours and patterns of these natural feathers are unique. No two are exactly alike! We are now offering these original natural barred turkey feathers from the good old days. There is no other feather that connects you to the early days of archery like natural barred turkey feathers do. They are simply the best feathers ever! 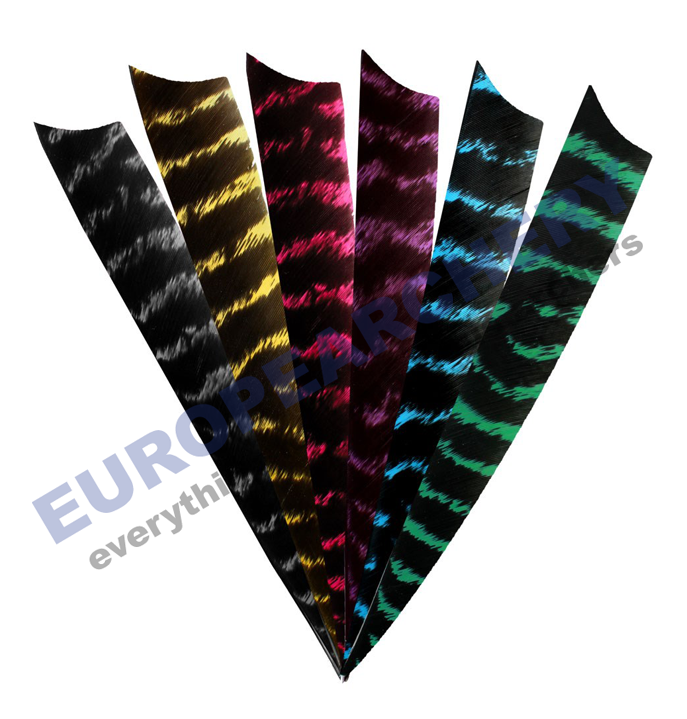 We color these genuine natural striped turkey feathers with delicate colors which gives them a very special, natural look and feel. The most common feathers in traditional archery are 4“ feathers. 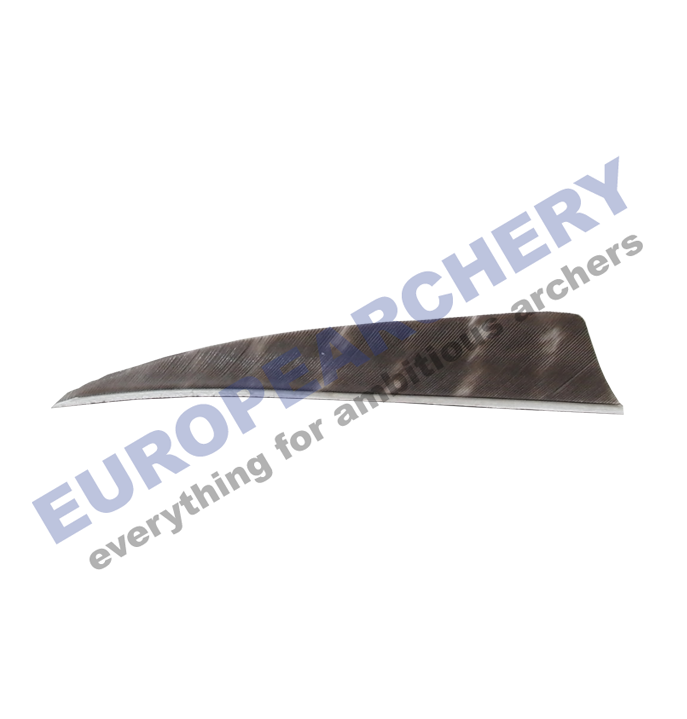 They are the best choice for an optimum balance between arrow guidance and arrow speed. Whether you’re shooting a lighter weight bow or a heavier bow, 4“ feathers are your best choice for consistently accurate flight with a nice flat trajectory. We have used a flatter profile in our Shield shape to perfectly optimize stabilization and arrow speed.